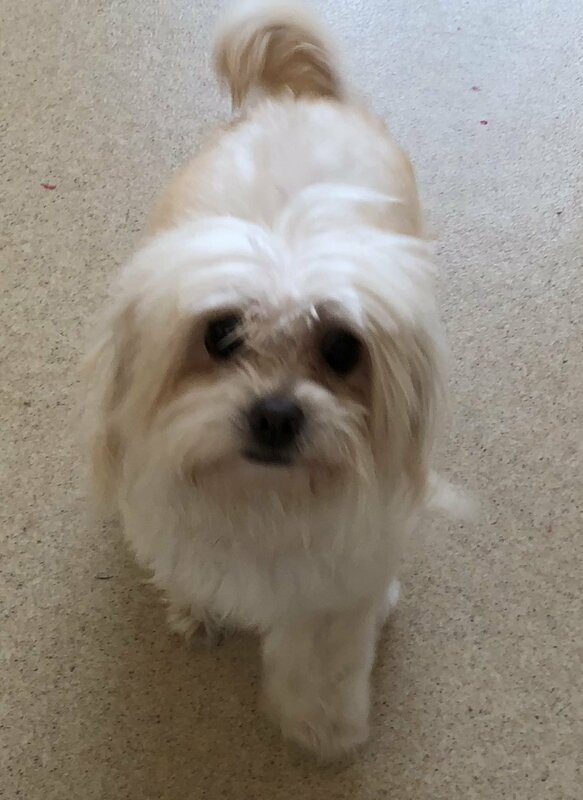 Noel is a 3 years old, Maltese Mix who loves everyone! Playful, fun, with people, and other animals – She will be the best family dog! Merry is also four and a half, and is a female Yorkie from the same situation as Pippin. 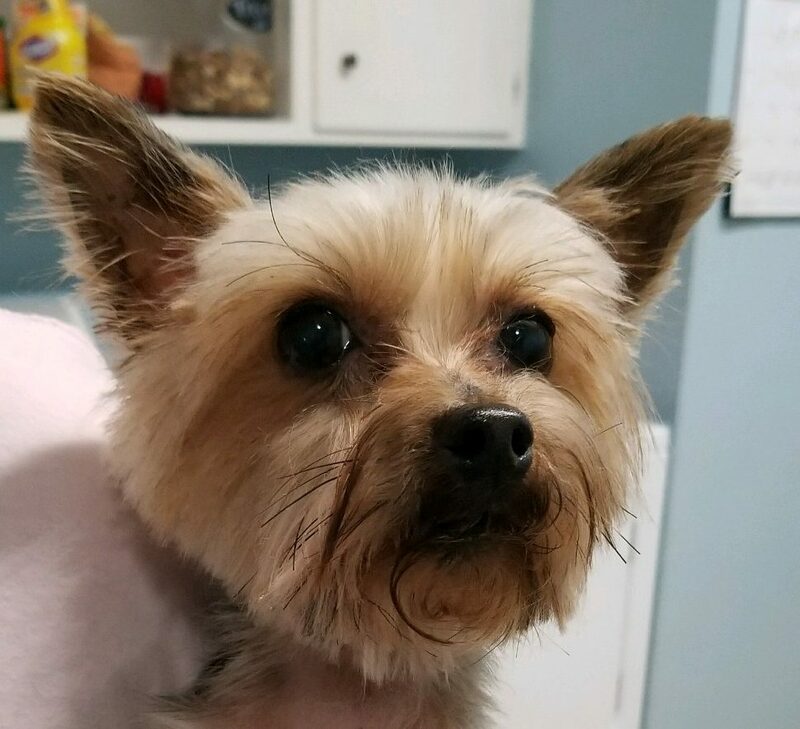 More details to follow as we get to know this friendly and sweet Yorkie better. 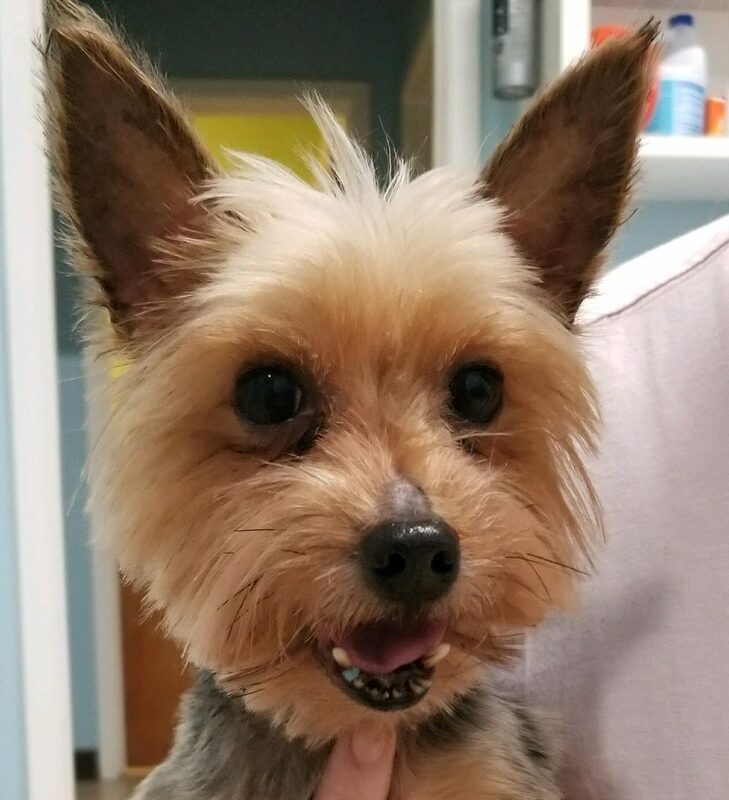 Pippin is a 4 and a half year old male Yorkie. Friendly with people and other dogs, Sadly, he was kept in a hoarder situation in a crate his whole life, so we are training him to be housebroken. He is a sweetie, and is very small. We prefer a home with older children who will always handle him gently! Nellie is a sensitive soul who shows her love and affection in the most tender ways. 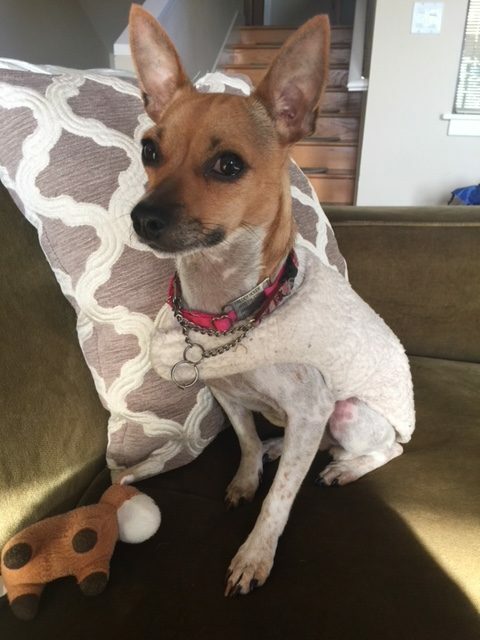 Three years old, Terrier Mix. Shy at first, with tail tucked neatly under and wrinkles of worry on her brow, she does not like sudden movements or loud noises which can send her scurrying. However, she does like to be in close proximity to people and other dogs and once she knows you have her best interests at heart, she will warm right up–cuddling on your lap, reaching her paw out ever so gently for scratchies under the chin or at the base of her tail. She is quiet and does not bark, even when her pack mate is barking at full tilt. She loves to go on walks and sniff the grass and has quite the prance once she gets going. She travels well in the car and loves her treats. You know you’ve won her heart when her little tail goes straight out and waggles at full speed.